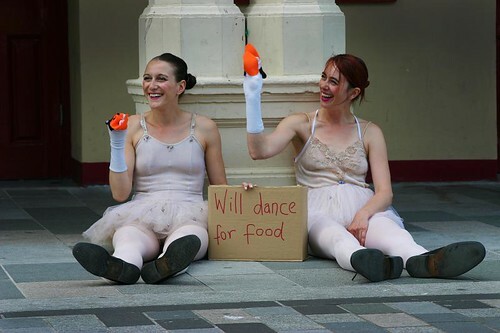 I saw these guys during a Busking Festival, a very simple image that offers so much in the way of narrative and comedy. I think this photo speaks for itself in terms of artist merit yet asks so much in terms of subject matter! Weird.. I was sure I already commented this photo.. It sure made me smile – They look so tired, almost beat, but still keep their smiles and sense of humor.